Nigeria’s dependence on oil revenue to fund its budget may finally be coming to an end as the federal government expects to earn nearly 63% of its income from non-oil sources in 2018. However, with prices of crude oil on the rise – now above $60 a barrel – strict discipline in managing the excess revenue will play a key role. There are indications that 2018 could be the first time non-oil revenue will outshine petrodollars since the oil boom of 1973. In 1973 oil revenue overtook other sectors of the economy in funding both federal and state budgets. 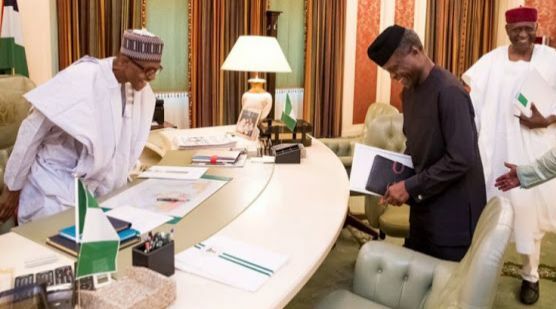 “It is going to be tough but early indications are strong,” a senior cabinet member told TheCable after the budget presentation by President Muhammadu Buhari on the development on Wednesday. According to the 2018-2020 Medium Term Expenditure Framework and Fiscal Strategy Paper, oil revenue made up 97% of government’s revenue in 2016. “Oil revenue was N697.8 billion (97.2% of budget),” the document read. During his 2017 budget presentation speech, President Muhammadu Buhari projected that oil revenue would drop by 40.18%. “Based on these assumptions, aggregate revenue available to fund the federal budget is N4.94 trillion. This is 28% higher than 2016 full year projections. Oil is projected to contribute N1.985 trillion of this amount,” he had said at the time. This meant that non-oil revenue was projected at 27.79%. 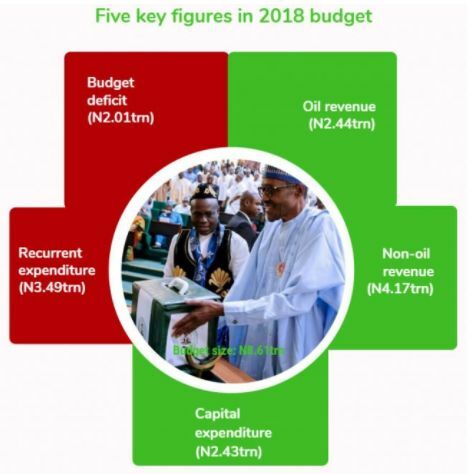 While presenting the 2018 appropriation bill of N8.6 trillion to a joint session of the national assembly, Buhari said oil revenue is projected at N2.442 trillion while non-oil revenue at N4.165 trillion. The president said the federal government’s estimated total revenue was N6.607 trillion in 2018, about 30 percent more than the 2017 target. “As we pursue our goal of revenue diversification, non-oil revenues will become a larger share of total revenues. In 2018, we project oil revenues of N2.442 trillion and non-oil as well as other revenues of N4.165 trillion,” he said. The president said non-oil and other revenue sources of N4.165 trillion would include the share of company income tax (CIT) of N794.7 billion, value-added tax (VAT) of N207.9 billion as well as customs and excise receipts estimated at N324.9 billion. “Others are independently generated revenues (IGR) of N847.9 billion, federal government’s share of tax amnesty income of N87.8 billion and various recoveries of N512.4 billion,” he said. According to The Cable, in percentage, this means that oil revenue has been projected to make up 63% of government’s revenue in 2018 and oil revenue, 36.96%. Kemi Adeosun, minister of finance and Godwin Emefiele, governor of the Central Bank of Nigeria CBN, had previously emphasised the need for policies to diversify government revenue. The ministry of finance embarked on various programmes to improve tax compliance, one of which is the voluntary assets and income declaration scheme (VAIDS), which gives tax defaulters a grace period to pay their tax debts without fear of prosecution. *We hope with all these, the year 2018 will be much more better than 2017 for Nigeria and Nigerians.